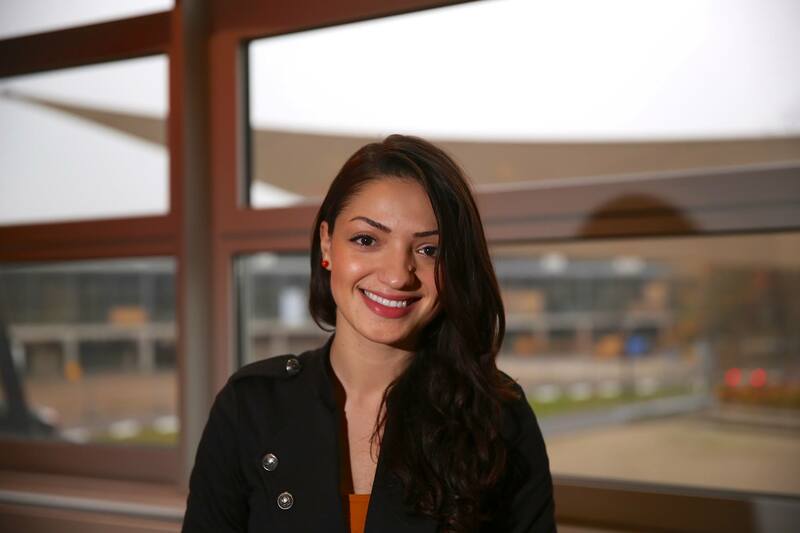 Student and Romanian national Antonia Raileanu loves fish, would like to visit the Apenheul and was a candidate in the 2014 local elections. In 2010 I decided to continue my studies and pursue a Master’s degree in the Netherlands because I know the Dutch system is one of the best education systems in Europe. I applied to several Dutch universities and on my first trip to the Netherlands I ended up getting a place at the University of Twente to take a double degree Master’s programme in European Studies. I would describe myself as a European citizen. I don’t consider myself a typical Romania. I like to learn from other cultures and in the Netherlands I have plenty of opportunities to do this. I now call my place in Enschede home. I am a candidate on the list for the European elections for Dutch party ikkiesvooreerlijk and I am certainly not considering moving. Unfortunately, I don’t speak Dutch yet. I took several courses at the university and the city hall in Enschede. I want to learn but I haven’t had many opportunities to practice. At the university I studied in English, at work we speak English and my dutch friends are really happy speaking English. And if I want to ask for directions in Dutch I usually get an English reply. At the university we have a badge with the message ‘Spreek Nederlands met mij’. Maybe I should wear this more often. I like fish a lot and of course I like Dutch fried fish. I’ve developed a tradition of going every Saturday to the open market to eat fish. Spontaneity! In the Netherlands I have learned to be more organised and punctual. I like to plan activities and tasks but I also like to be spontaneous from time to time. I think that in Romania people tend to be less strategic and usually come up with last minute plans. I would say that I adopted more from the Dutch culture than I realise myself – usually my friends from other countries see it better. I got used to cycling very quickly and now I find even short distances are impossible to walk. I almost like the cold Dutch lunch. It doesn’t take long and you don’t feel lazy after eating. As I said, I like to be more punctual, and now I expect everybody to be the same. I have also became more direct. I like to speak my mind and be honest! I would recommend the island of Terschelling. Not many tourists know about the Netherlands’ five northern isles. Away from the crowed city, the island is a great place to relax and embrace nature. I even enjoy the ferry ride to the island. I never knew that carrots are orange because they were cultivated as a tribute to Willem van Oranje. Buy a year’s supply of stropwaffels! Then, I would fly a plane (I know that in NL you can get lessons to fly a plane), and the rest of the day I’d spend at Wallibi and the Apenheul. I have never been to the Apenheul, but I really like the idea of spending time in a wildlife park where you can interact with the animals. Antonia Raileanu, 25, was a candidate in the EU parliamentary elections for ikkiesvooreerlijk.eu. She is a Master’s student in European Studies at the University of Twente, and intern at StudyPortals BV and marketing assistant part-time University of Twente.